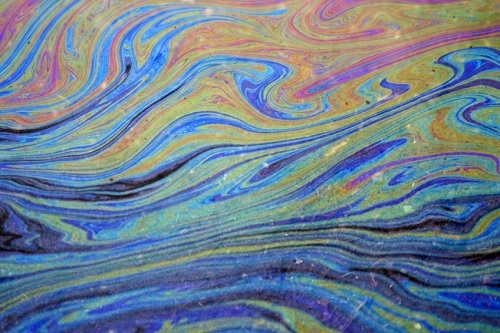 Oil from industry polluting river water. Runoff from agricultural land carries manure, pesticides and fertilisers (nutrients) into our waterbodies. In urban areas, water quality is affected by runoff from industry, housing, roads and storm water. Urban runoff may include heavy metals and other pollutants, as well as litter. Many harmful substances, including engine oil, garden chemicals and detergents will enter water courses if disposed of incorrectly. Nitrate and phosphate are important nutrients found naturally in water. However, human activities have dramatically increased the amount of nutrients in the environment, impacting water quality and causing huge changes to freshwater ecosystems. These activities include using fertilisers and changing land use, causing easier runoff and increased pollution. Before the global increase of industry at the turn of the 18th century, the only sources of nitrogen in fresh water were bacteria, volcanoes and lightning strikes. Use of nitrogen fertilisers has increased by 600 per cent in the last 50 years. 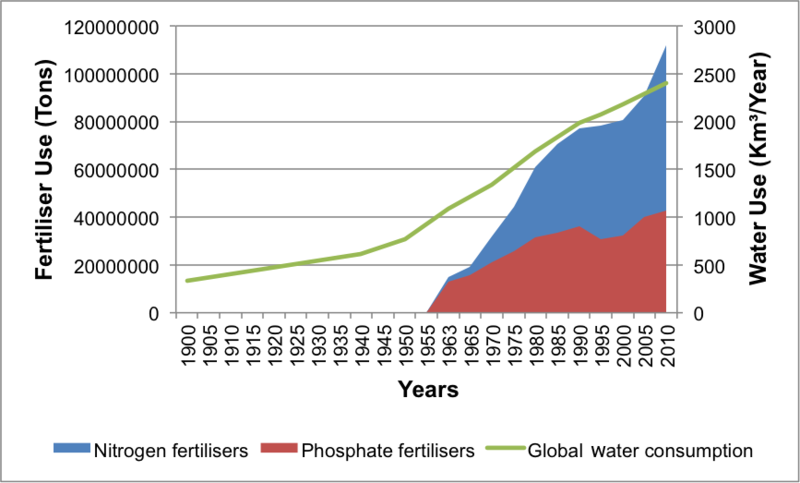 The use of phosphate and nitrate by humans in agriculture and garden fertilisers has had a substantial effect on the world’s freshwater quality. Increased nutrient levels have threatened wildlife by causing eutrophication. Eutrophication is a process where water bodies receive excess nutrients that cause excessive plant growth. This results in algae blooms or the formation of algae mats, which use up most of the water’s oxygen when they die and decompose. This starves aquatic creatures like fish of oxygen causing them to ‘drown’. The higher the nutrient values rise, the more likely that eutrophication will occur, and the variety of species of plant and animal life will decrease substantially. Increased nutrients can also be a catalyst for the development of bacteria in the water. Cyanobacteria, also commonly described as ‘blue-green algae’ have become a problem where waterbodies have entirely changed colour as a result of increased bacterial growth. These bacteria have been linked to potential health risks.